RT-DR05 Duct rodder is composed of fiberglass rod which is extruded by fiber glass rod and high strength resin at high temperature. This type of rod has high tensile strength and flexibility. Duct rod is covered by a high density polyethylene engineering plastic as it protect layer which make Cuct Rodder cover sliding on the surface, durable, corrosion resistant and has good insulation performance. 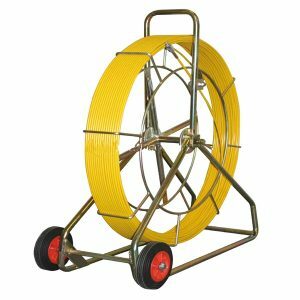 Which make them safe for use in cable pulling in the conduit.